Last week it suddenly turned "fall"...for California, that is. We've had temperatures in the 60's and low 70's for a straight week now, and I'm happily wearing my flannels and pullovers without having to roll up the sleeves. Speaking of fall, it's the week of Thanksgiving and I know we're all so excited for the food. I've already seen a lot of pre-thanksgiving meals on my Instagram feed and it really makes me look forward to spending this Thursday cooking comfort foods and piling my plate with starches, veggies, and cranberry sauce. Though some of you will scoff at me, vegans & vegetarians can do thanksgiving right too. Come Thursday, I'll make the drive to my small desert hometown bright n' early to spend the morning and early afternoon with my mom in the kitchen. 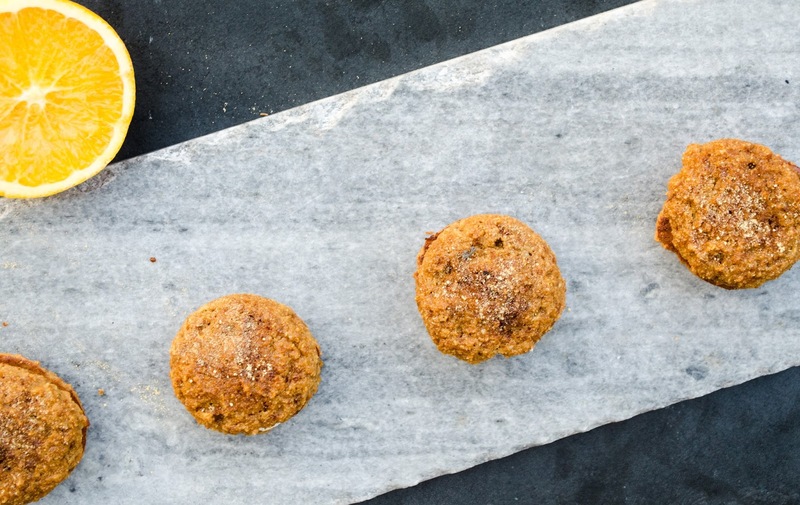 We're still in the process of coming up with a dinner menu, but I'm sure it will involve my favorite, traditional lentil loaf by The Simple Veganista and these staple dinner rolls by Minimalist Baker. Although, let's not forget last year, when I made not one, but two of this incredible vegducken (a zucchini in an eggplant, in a butternut squash). The recipe for vegducken can be found on Epicurious. I've mentioned in a prior post that I've been obsessing over Molly Yeh's recipes. Though I've never been too fond of fried food, I am swooning at her fried brussel sprouts with lemon, parmesan, and breadcrumbs so much that they might find their way onto my Thanksgiving table. I'm also very interested in trying Faring Well's Cauliflower Leek Gratin. As far as dessert goes, I think my most of my family would agree that it's not Thanksgiving without apple pie, but I've got my eye on this blood orange galette by Call Me Cupcake. Vegan & gluten free friends: Love & Lemons has a great apple crisp recipe that I adore during this time of year. In case pastry dough isn't your thing, here's "pie" recipe for those of us who consider ourselves cookie and cake people (myself included). Whoopie pies are made from two soft cookies sandwiched with a cream filling — an entirely different species of pie. 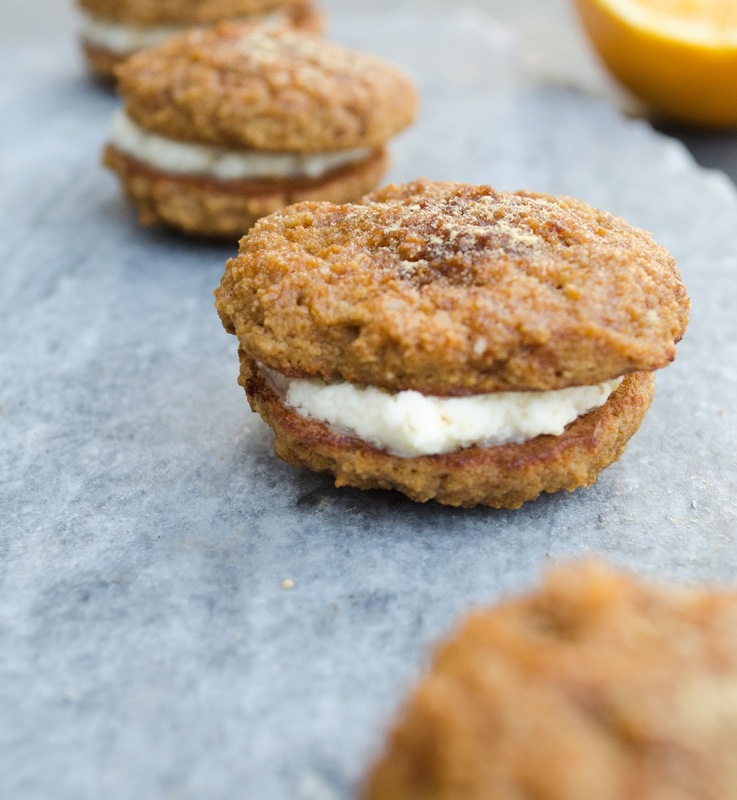 To make these, I made some adjustments to my coconut flour chocolate chip cookie recipe and introduced an orange buttercream that brings me back to all the creamsicles I would eat as a kid. Let's talk ingredients. I went all out on the coconut with these. I vouch that it's worth going out of your way to use coconut sugar over other sugars in this recipe. 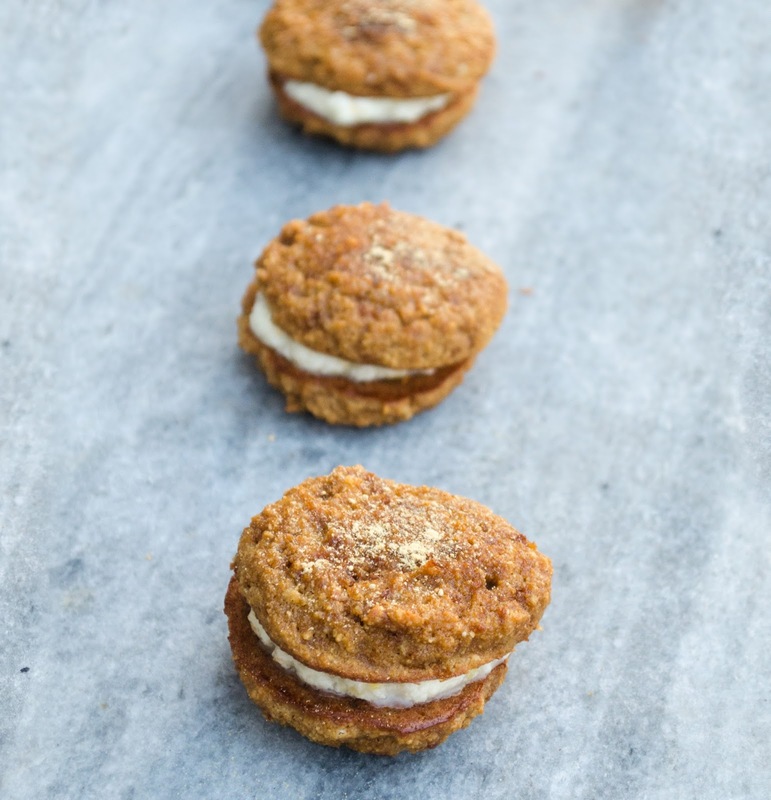 It pairs excellently with the ginger spice and gives the cookies a subtly sweet almost caramel-like flavor. I also substituted applesauce for half of the coconut oil used in my original coconut flour chocolate chip cookie recipe. 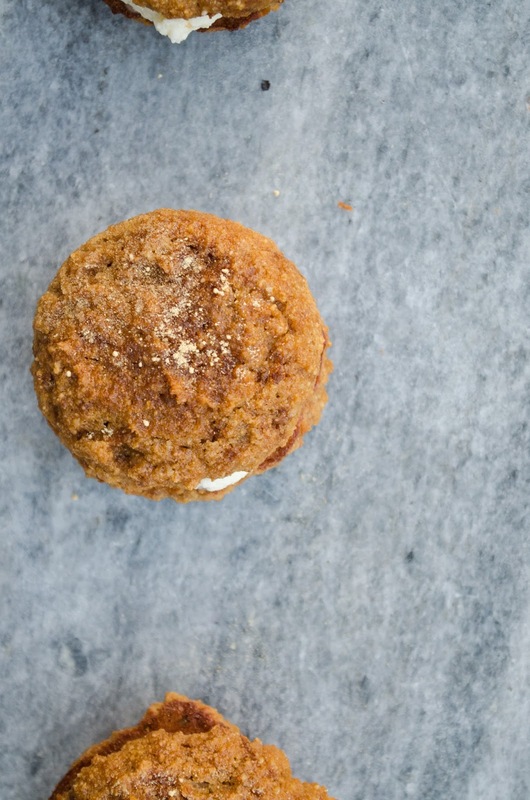 Reason being, I've found that applesauce gives cookies a soft, cake-like texture that we look for in a whoopie pie. I'm also currently laughing about how many times my computer tries to autocorrect whoopie pie for me by alternating two different words: whoopsie pie & whoopee pie. Whoopsie! That's not a pie, that's a cookie, silly! — This paragraph has been brought to you by me trying to make a (dad) joke. Don't worry guys, I won't quit my day job. Anyway, I sincerely hope everyone has a good Thanksgiving week! Ah, but before you go, please comment below and tell me: pastry pie or whoopie pie? Pre-heat oven to 350 degrees and line a sheet pan with parchment or a silpat. Combine coconut flour, coconut sugar, salt, ginger, and cinnamon in a large bowl. Stir. Make a well in the center of the dry ingredients and add the eggs, coconut oil, applesauce, and vanilla extract. Whisk to combine. Let the dough rest for 5 minutes. Once rested, use a small cookie scoop or a spoon to scoop cookies onto the lined sheet pan. Flatten each cookie slightly with the palm of your hand. Bake for 9-11 minutes or until the cookies are golden around the edges. Remove from oven and remove cookies using a spatula (they tend to stick to the pan liners) and place on a wire rack to cool. Meanwhile, make the buttercream by creaming the butter or earth balance using an electric mixer. Then, add the powdered sugar, milk, vanilla, and orange zest. Continue mixing until light and fluffy. If the buttercream is too liquidy or doesn't hold it's shape, add more sugar. If it is too stiff, add a little more milk. 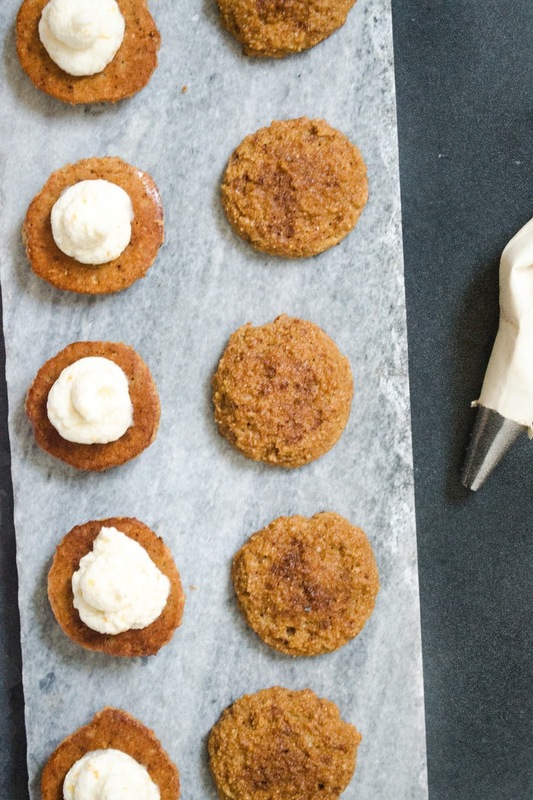 Place the buttercream in a piping bag and pipe a dollop of buttercream onto half the cookies. Then ,sandwich the cookies together and garnish the the tops with a light sprinkle of ginger powder! Enjoy with a glass of milk or a cup of tea.